There was a lot of excitement at the end of 2015 when the Securities and Exchange Commission passed the long-awaited Title III portion of the JOBS (Jumpstart Our Business Startups) Act. Title III allows non-accredited investors – in other words, the average person – to invest in companies like startups. The term crowdfunding, until recently, meant giving money in exchange for a product or cause, through platforms like Kickstarter. A company asking for money through Kickstarter could do so because it offers something in return – a CD, book, or game console, for instance. The JOBS Act, passed in 2012, has three sections that relate to a new type of crowdfunding. Title III was passed in October 2015, and will be effective on May 16, 2016. Before Title III became official, the SEC passed Titles II and IV. 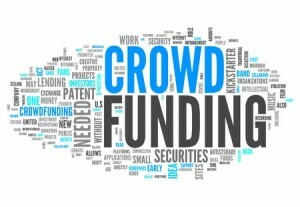 Title II says companies can solicit funds among accredited investors through crowdfunding; Title IV says companies can raise money from the public, regardless of whether an investor is accredited or not, although it requires significant paperwork; and the most recent rule to pass, Title III, permits non-accredited individuals to invest in securities-based crowdfunding transactions, with investment limits. The newest rules also create a regulatory framework for the broker-dealers and funding portals that facilitate crowdfunding transactions, the SEC says. So what type of crowdfunding should entrepreneurs consider? 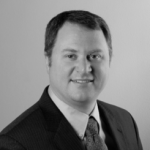 Nathan Roach, CEO and co-founder of MassVenture, Texas’ first state-approved equity crowdfunding portal, says that largely depends on how much money a business is trying to raise. When it was passed in 2013, Title II marked the first time that entrepreneurs could solicit accredited investors with whom they didn’t have a previous relationship. Prior to Title II, a company generally had to go through an IPO process in order to offer securities to the public, although they could use an exemption called Rule 506 to solicit accredited investors if they had a prior relationship with that investor. Title II created a new subsection to that exemption and allowed businesses to open up solicitation to unknown investors, as long as they’re accredited. Title II lets companies raise an unlimited amount of money – as long as that money comes from accredited investors. Roach estimates that the typical Title II raise is under $10 million. Businesses that do a raise with Title II do not have to use a portal, although they can if they choose to in order to simplify the administrative details. Some companies choose to build their own crowdsourcing site; software builder Github has an open source project called BackerKit that allows people to build their own crowdfunding site. While not having a cap means a raise under Title II could bring in a lot of funds, the fact that companies are limited to accredited investors means there’s a relatively small pool of investors to draw from. Roach says that some view accredited investors as more sophisticated, although he cautions that that’s a pretty big generalization; Bernie Madoff, after all, managed to hoodwink quite a few accredited investors. Accredited investors may, however, have valuable connections in an industry, so depending on the nature of your raise, reaching out to them may not be so limiting after all. For startups or businesses raising less than $1 million from the general public, crowdfunding via Title III rules makes the most sense – largely because it gives businesses a way to solicit investment from everyday Americans, whether or not they’re accredited investors, and do it without huge amounts of paperwork. To raise funds under these rules, a business must use an approved crowdfunding portal or an approved broker dealer. While Title III does open the door to more investors, there are also some restrictive rules worth noting. One such rule, known as the 12g rule, says that if a company gains more than 500 individual investors or more than $25 million in assets, it must start filing disclosures very similar to the type of paperwork a company would file for an IPO. Title III also has a $1 million cap in a 12-month period. And while Title III allows non-accredited investors to join in crowdfunding, it also limits how much an investor can kick in based on a percentage of that investor’s annual income. Roach says that Title III also probably makes sense for national companies, as opposed to regional businesses like restaurants or retailers with local customers. For those local businesses, state crowdfunding portals – allowed by the SEC under a rule called Intrastate Rule 147 – might be a good option. Businesses using state portals are limited to raising funds from individuals in their state, but don’t have to comply with SEC regulations like those using Title III would. Roach says many state portals have similar rules to Title III, but may have higher caps for how much can be raised. Colorado, for instance, allows a business to raise up to $2 million. Another advantage to doing a raise through a state portal is that there aren’t any ongoing filing requirements, Roach says, whereas with a raise through Title III you may be obligated to file annual reports with the SEC. Title IV is best for big raises, and allows businesses to solicit non-accredited investors. It’s another new rule approved by the SEC, and has two separate caps – $25 million and $50 million. The lower cap applies to more regional offerings. If a business is, for instance, focused on a state-specific product that can be coordinated to other, nearby states, they would be working with a $25 million cap. The $50 million cap applies to offerings that are nationwide in their scope. Companies do not need to go through a portal, although they would likely use a broker dealer. Roach says because it’s so new, there’s little evidence as to how businesses will use it. But, he said, it again comes down to how much money a startup or business can raise. Because Title IV crowdfunding comes with hefty filing requirements, a company might have to spend up to $100,000 in legal and accounting fees. To Equity Crowdfund or Not? Having all three crowdfunding sections of the JOBS Act now approved by the SEC is no doubt going to open new avenues for investors and businesses alike. But it’s important to remember that unlike traditional, transactional crowdfunding – the kind we see on platforms like Kickstarter – an investor in equity crowdfunding is involved in the company, potentially for years. Kickstarter and crowdfunding platforms like it bear no relation to the JOBS Act, and in many cases had been up and running for several years before the JOBS Act passed. There may be times when it makes sense for a business to consider Kickstarter-type crowdfunding instead of equity crowdfunding under Titles II, III, and IV. Those investors can be advocates for a business, but it’s also incumbent on entrepreneurs to do a good job of keeping investors up to date with what’s happening with the business and know that there’s a level of expectation. If developing and maintaining relationships with investors is not something a business or entrepreneur wants to invest time in, it’s probably best to stick with transactional crowdfunding.